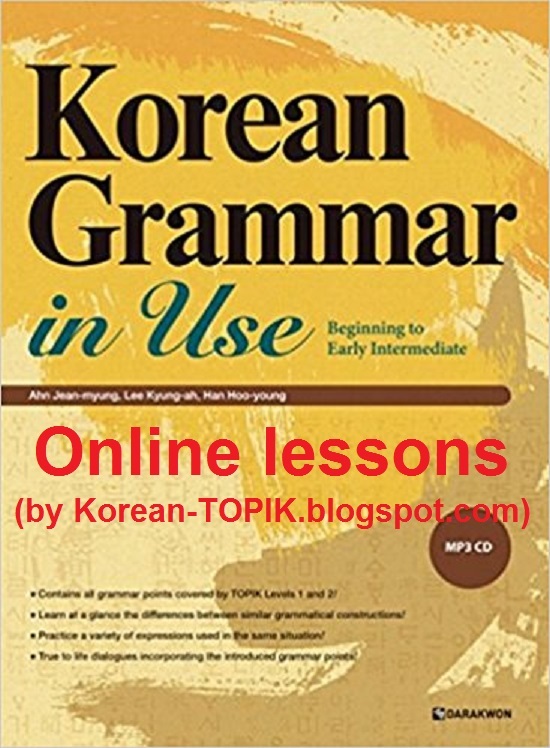 Korean Grammar in Use: Beginner is the most popular Korean study book for language learners. Together with the other books in the Korean Grammar in Use series, the book serves as a general Korean grammar library with intuitive illustrations and real life-based dialogues for Korean learners. 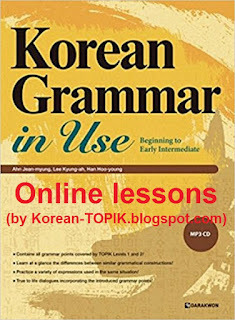 Our Korean Grammar in Use: Beginner online lessons are based on the grammars in the printed book. However, the online lessons are redesigned with more concise text and much easier to understand. Additionally, we vision that these lessons will serve as a free online Korean grammar library for everyone. Note that if you want to learn Korean from ZERO, try our Korean lessons from Seoul National University from beginner to upper-intermediate level. L1G06 Negative expressions in Korean = A/V지 않다, 안 A/V, 못 V, V지 못하다, and 아니다, 없다, 모르다. L1G08 N을/를 , N의 = object particle and possessive particle.